Yeh! Store Manager Positions #Sackville & #Truro | Sack-Vegas!!!! Looking for a job? Here ya go! Yeh! 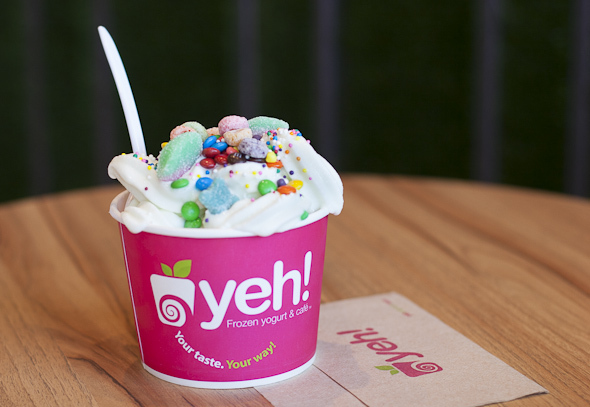 Yogurt is the first self-serve frozen yogurt company in Canada. We are a fast growing franchise with current operations in Canada and the US, soon to be in Europe, Asia and the Middle East. Our urban cool stores feature our delicious, all natural, non fat, self-serve frozen yogurt, with over 40 toppings ranging from fresh fruits to dried toppings like cranberries, organic raisins, and flax seed, to candy, cereals and chocolates. Yeh! also serves delicious smoothies, waffles, crepes, organic coffee and tea. We are currently hiring for the Store Manager position in our Sackville andTruro locations. Experience in the food and beverage industry is a definite asset. If you are eager, ambitious, love customer service, outgoing, have a strong attention to detail and are ready to be part of a GREAT team, send us your resume! Please indicate which store you are applying for. Posted by Sacky on March 10, 2014 in Snack-Vegas (Thought for food).